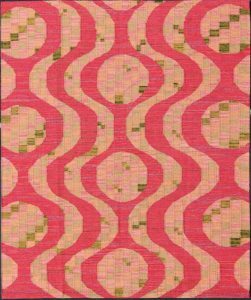 Scandinavian carpets have become increasingly popular due to the way in which they seamlessly fit into and enhance Mid-Century Modern and contemporary interiors. They can be both flat-woven and piled, making for a diverse selection. Most are made out of viscose and wool. 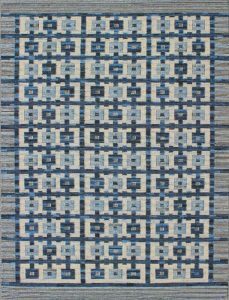 Scandinavian rugs also appeal to people who are looking for something different, more modern, or even sentimental. Read on for more information about these engaging works of art. How and When Did Scandinavian Rug-Making Begin? Scandinavian rugs have been produced for centuries in many different countries of Scandinavia, including Denmark, Finland, Norway and Sweden. Initially, Scandinavian rugs and carpets featured solid colors, such as white, gray, black and yellow, but over time, many geometric shapes and floral designs became common. Vintage Scandinavian rugs work very well in transitional interiors due to their Art Deco looks. Additionally, many Scandinavian rugs, especially Swedish rugs, are of a contemporary design. 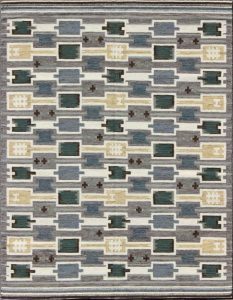 Because Mid-Century Modern and Transitional design trends have risen in popularity, Scandinavian rugs have become in high-demand. How Are Scandinavian Rugs Made? Many Scandinavian rugs are either Kilims or Jajeems. Kilim carpets are woven by tightly interweaving the warp and weft strands of the wool to make a surface with no pile. Some Kilim rugs are produced in two or three narrow pieces, which are then woven together to create a wider rug. Jajeem carpets are flat-woven rugs with embroidery work and are generally more detailed. The most recognized and highly esteemed rugs are distinguished by the area, villages, or cities in which they were woven. Historically, antique Kilim rugs were used as part of a bride’s dowry. 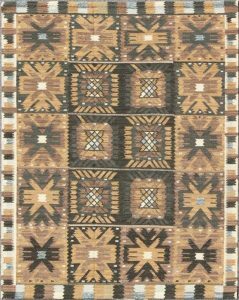 The females of the family would weave each rug, which would contain symbols of the family tradition and tribal identity. Kilim carpets were also used as table coverings, bed covers, and wall hangings. 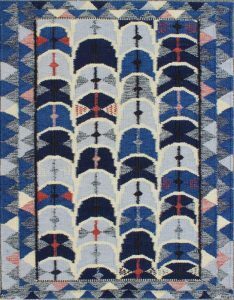 Creating Scandinavian rugs is both an art and a craft, forming highly desirable decorative pieces. Designs can range from symmetrical to asymmetrical, and typically a wide range of colors is utilized. 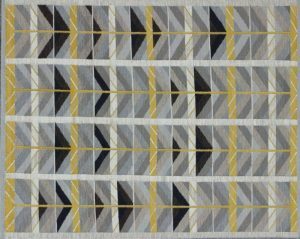 Common designs include repeating geometric shapes and stripes. Click the images above to learn more about each rug, such as when it was produced, its size, and the materials used in its production. 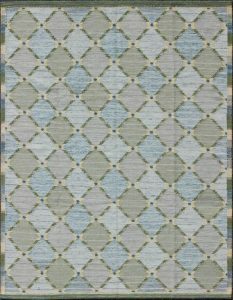 View more from our extensive collection of Scandinavian carpets on our website by clicking here. Leave your questions about Scandinavian rugs in the comments below. And click here to see more Scandinavian carpets on our website.